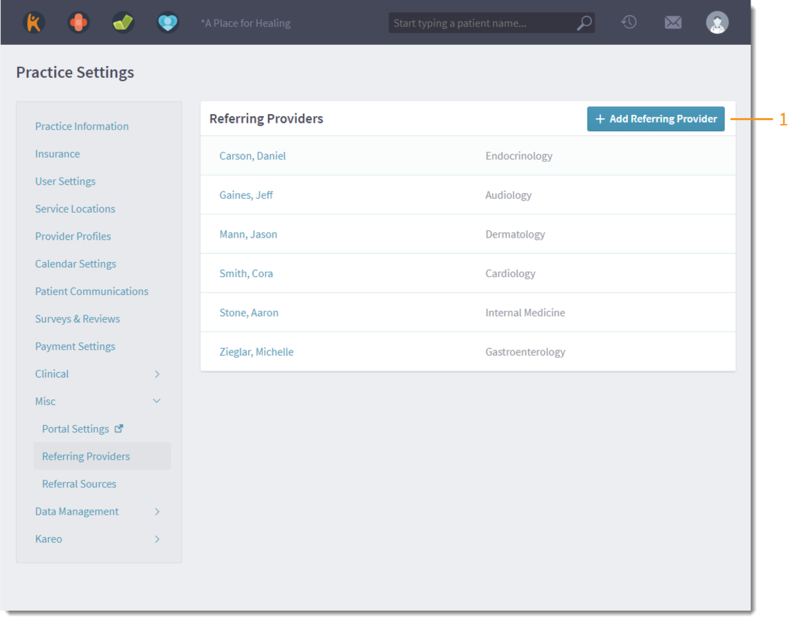 Create a database of referring providers that can be easily added to insurance cases and patient demographics. 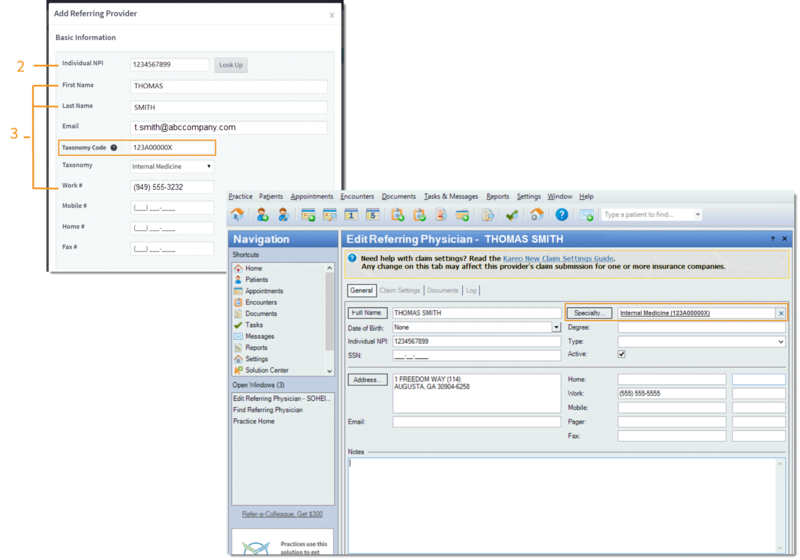 When creating the profile, enter the provider's individual NPI Number to auto-populate Basic Information, or enter the provider information manually. Hover over the User Icon in the upper right of the window and click Practice Settings. The Practice Settings menu opens. Click Misc on the left menu. The Misc drop-down menu opens. Click Referring Providers. The list of Referring Providers displays. Click +Add Referring Provider in the upper right of the window. The Add Referring Provider window opens. Enter the provider's individual NPI number and click Look Up. The provider's name, specialty, taxonomy code, work phone number, and address auto-populate (if available). Click Save at the bottom of the window. The provider displays in the Referring Providers list. Note: the taxonomy code will auto-populate from the Kareo platform to the desktop application.